The Garden Dome Package includes a 9-course communal menu (regular garden dome menu ) & a premium bottle of Prosecco for a couple. Priced S$400++ (10% service charge and 7% GST) per couple. A gift card at The Summerhouse entitles you an amazing farm-to-table meal in an idyllic summer retreat. The Summerhouse is a multi-concept F&B and lifestyle destination located in a historic bungalow and compound in the precincts of Seletar Airport. Conceived as an idyllic summer retreat, it features the gourmet restaurant, The Summerhouse Dining Room; Wildseed, a cafe, patisserie and bar; an edible garden; florist; landscaped grounds; coffee roaster; and a wedding business arm, 1-Host. The Summerhouse Dine in the Dome experience for 2 pax is a perfect restaurant gift for the dating couple, for the newlyweds, or for the anniversary. The experience includes a 9-course communal menu and a premium bottle of Prosecco. 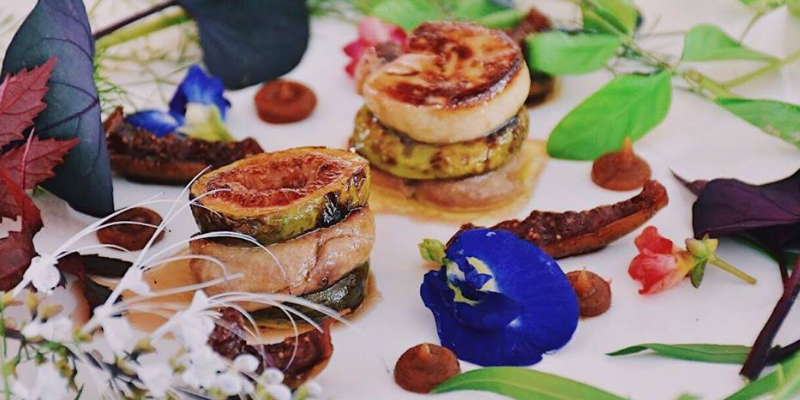 Diners can expect a nature-inspired menu that draws its products from farms and a kelong in the region, as well as from the in-house edible garden, to create an authentic, sustainable dining experience. The Summerhouse is part of the 1-Group, a lifestyle F&B group with a portfolio of award-winning restaurant, bars and clubs, such as; Stellar Restaurant, 1-Alittude, Monti and The Botanic at the Garage.